This year more than ever, our world needs GOOD — people are craving it! That’s why I created these Christmas Kindness Lunchbox Notes as a simple way to spread good cheer during an especially turbulent holiday season. Lunchbox notes are a treasured tradition in our house, and so of course we needed a Christmas-themed collection! 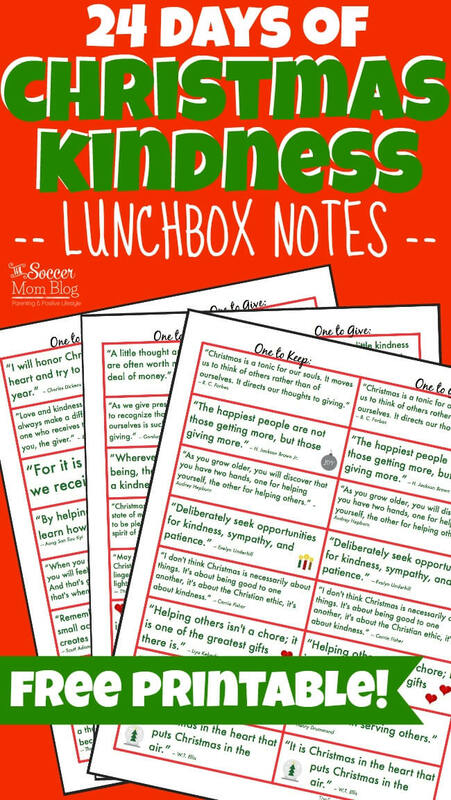 I’ve gathered 24 of my favorite kindness quotes to tuck into your child’s lunchbox each day leading up to Christmas break. There’s actually two of each quote — one for your child to keep, and one to tear off and share with a friend. They’re totally FREE for you to enjoy! Click on the link below and it will take you to the download page for the printables. 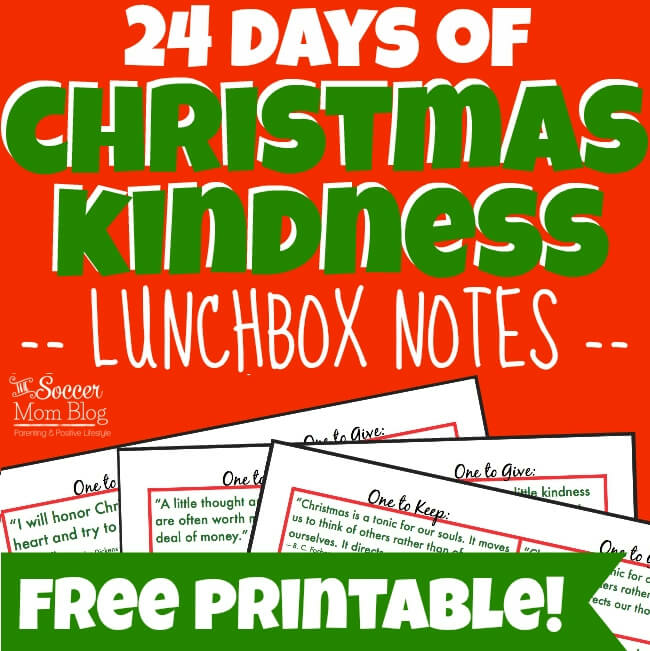 CLICK HERE to download or print your FREE Christmas Kindness Lunchbox Notes!